The CMS issued a "request for information" Wednesday from providers and patient advocacy groups on new ideas to bring to the Center for Medicare and Medicaid Innovation responsible for creating new payment models. The notice came after CMS Administrator Seema Verma wrote in a Wall Street Journal op-ed Tuesday evening that the Innovation Center's old policies led to consolidation that has been widely blamed for growing overall healthcare costs. She also said the policies burdened providers. "Providers need the freedom to design and offer new approaches to delivering care. Our goal is to increase flexibility by providing more waivers from current requirements," she wrote. The CMS is asking for feedback on ways to promote competition in the market; enhance provider choice; encourage patient feedback and improve price transparency. Verma's op-ed and the CMS' request for information likely eases concerns from some in the industry that the administration was steping away from value-based care, said Gail Wilensky, who led CMS during the George H. Bush's tenure and is now a senior fellow at not-for-profit Project HOPE. The decision by the CMS this summer to make some previously mandatory bundled payments for replacing knees and hips, voluntary, likely spurred some of that concern. The agency also eliminated the expansion of bundled payments for heart attacks, bypass surgery, hip and femur fractures, and cardiac rehabilitation. 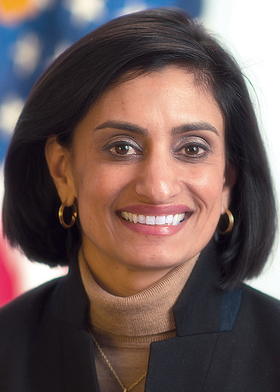 "Seema Verma has made it clear she recognizes the importance of moving way from a fee-for-service model to more value-based care," Wilensky said. The CMS notice did say it will focus on voluntary models instead of mandatory ones. Ways to "reduce burdensome requirements and unnecessary regulations" for physicians will be a focus too, the agency said. HHS Secretary Tom Price, a former surgeon and member of Congress who is now Verma's boss, has long criticized the mandatory nature of some of the payment models that came out of the Innovation Center. "I think this (voluntary models) will be a welcome change for providers," said Clay Richards, CEO of naviHealth, a healthcare consulting firm that is part of Cardinal Health. "You're letting the market work through what the innovation looks like with providers. Most people would find that as a positive." But other policy experts argue that without mandatory requirements providers might not have an incentive to choose alternative models and stick with more lucrative fee-for-service reimbursement. David Muhlestein, chief research officer at Leavitt Partners, said making models voluntary when they are still experiments should not concern providers since they will always be interested in trying new ways to deliver care. But he said its concerning that the CMS has made no comment about how it will act if models are shown to be successful. The CMS will likely need to make successful models mandatory at some point in order to ensure widespread adoption, he said. "There will be providers who are worried about new models and want to continue with fee-for-service," Muhlestein said. Because of this, the CMS will likely have to make successful models mandatory. A recent JAMA Internal Medicine study found that value-based payment models like accountable care organizations and bundled-payment models netted $32 million in savings in 2015 among nearly 3,000 hospitals. The CMS also said its looking for ways to promote price and quality transparency for consumers. The agency said it may release cost data and quality metrics publicly to encourage patients to shop for their care. One suggestion the CMS gave was to encourage beneficiaries in federal health programs to participate in arrangements that would allow them to reap savings if they shop for care and choose the lower-cost option. Muhlestein said if the CMS makes an effort to promote price shopping among Medicare and Medicaid beneficiaries, it will motivate providers to think more critically about their prices compared to their competitors. "When you get the consumers engaged on prices, you expand what providers are competing for, and today they don't compete on price," he said. Suggestions on ways to reform Medicaid delivery and payment also were mentioned in the CMS request. The experiments from the Innovation Center have often focused on Medicare. Muhlestein said that was inevitable given Verma's history drafting conservative state Medicaid programs with cost sharing and work requirements. "We spend a lot of money as a country on the Medicaid program, and there is room for improvement," Muhlestein said. "Administrator Verma is a great person to work on that because that is where she cut her teeth." The emphasis on stakeholders input is also unique, Wilensky said. Providers have notoriously complained that the Obama administration didn't illicit enough provider insight on innovations. "Whether or not there will be a lot of responses and how interesting they will be is another matter," she added. In a statement, the American Hospital Association said the group, "will continue to work with Secretary Price, Administrator Verma, and others at HHS to give hospitals the opportunities, flexibility, and predictability they need to improve care coordination and efficiency and deliver better value for their patients and communities." The CMS is looking for ideas through Nov. 20. An edited version of this story can also be found in Modern Healthcare's Sept. 25 print edition.